And, whether or not that’s a good thing remains to be seen. Nevertheless, change is in the air and water at 1 Infinite Loop and, whether we like it or not, the Apple of October 5, 2011 is fading into memory. Though company co-founder and product visionary Steve Jobs has been gone less than a year, some insiders are already complaining that design isn’t the priority it once was. Lashinsky writes that a growing number of positions, notably in acquisitions, are being filled by MBAs, a class of professionals that Jobs in general despised. Until his death, Jobs was a one-man M&A division. 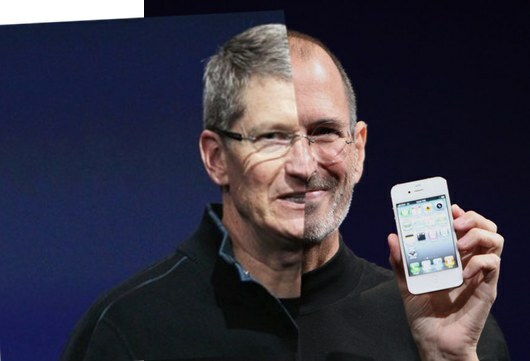 Which brings up a salient point — Steve is gone and he was THE guy that held Apple’s direction and future in his head. Now, responsibility for acquisitions will be spread across a department, which is a very corporate approach. Is that evil? It could be turn out to be, but there’s no question some measure of change is necessary. The ultimate judgement depends completely on whether or not today’s more corporate, less design-focussed Apple will be able to continue to produce visionary products backed by category defining quality and service.